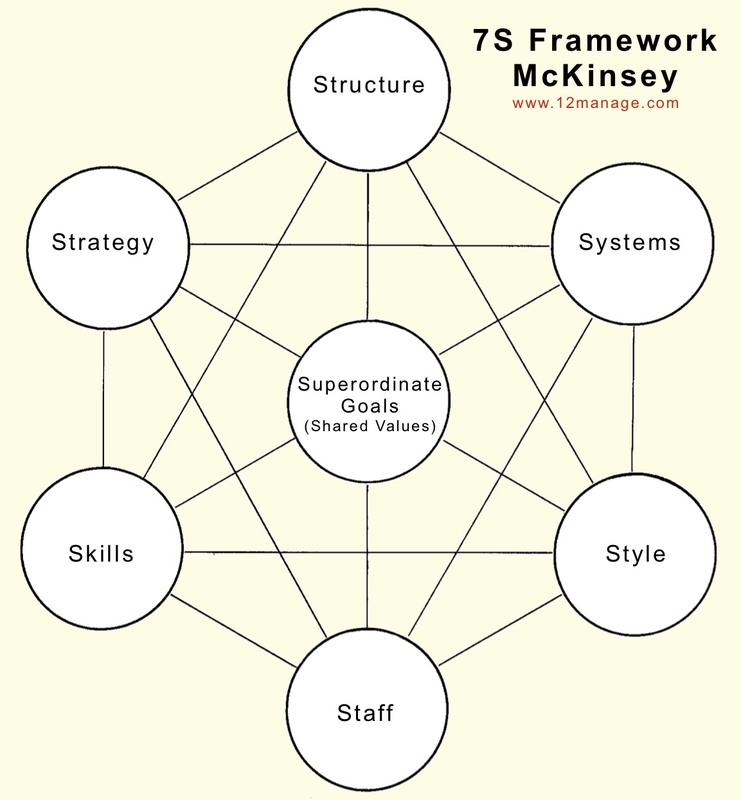 Explanation of the 7-S Model of McKinsey. The 7-S Framework of McKinsey is a management model that describes 7 factors to organize a company in a holistic and effective way. Together these factors determine the way in which a corporation operates. Managers should take into account all seven of these factors, to be sure of successful implementation of a strategy. Large or small. They're all interdependent, so if you fail to pay proper attention to one of them, this may effect all others as well. On top of that, the relative importance of each factor may vary over time. 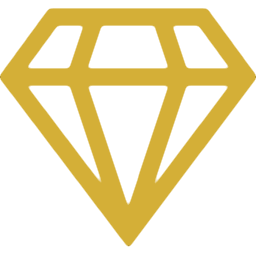 Superordinate Goals (also called Shared Values). Cultural style of the organization and how key managers behave in achieving the organization's goals. Compare: Management Styles. Distinctive capabilities of personnel or of the organization as a whole. Compare: Core Competences. Diagnostic tool for understanding organizations that are ineffective. Combines rational and hard elements with emotional and soft elements. Managers must act on all Ss in parallel and all Ss are interrelated.